Running out of power is an event of the past with AC Anywhere. The unit simply plugs into any standard, 12-volt DC vehicle cigarette lighter socket to convert your vehicle's battery power to 110-volt AC (common household current). 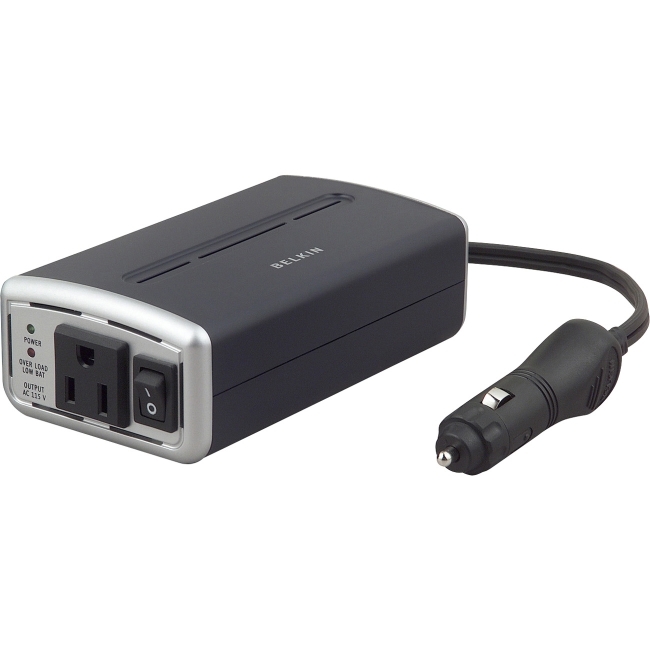 Now you can keep laptop computers, PDAs, and AC appliances powered and operational wherever you go. Very useful and functional item for recharging camera batteries or other electronics via your car battery. Just used it on a 4 day photo roadtrip and am happy with the purchase. Any electronic items can be charged from this small guy. Not too powerful, but does the job it is built for. 100% happy! Got this to run 120V equipment off the 12 V auto system. It's big, heavy duty and has circuit protection. It works as advertised.